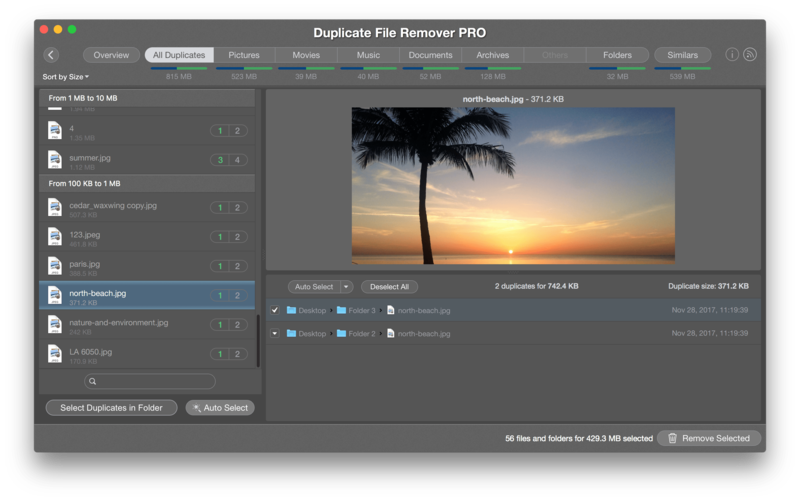 Duplicate File Remover Pro is a duplicates search utility for Mac which allows you to clean up useless dupe junk files. With the app, you can even find similar folders and merge them by moving or copying duplicate and unique files from one folder to another. Duplicate File Remover Pro scans any type of volume – internal Mac hard drive, External Drives or Network Disks – and displays the results. Network disk is a network-attached folder or volume which can be located on a server, networked computers or an external network storage. Why do you get this notification? The reason is that, by default, network volumes do not contain a Trash bin. But, when you click to remove duplicates with Duplicate File Remover Pro, the application has to move the selected files to Trash (its default removal setting). As a result, your files can’t be moved to the temporary Trash folder and will be removed permanently. That’s why the Duplicate File Remover Pro shows you the confirmation message to make sure you understand that these files will be non-restorable after confirmation. Still have questions? Contact our Support Team at [email protected]. We are here to help you.